My husband is a mechanical sort. So was my dad. I know just enough from listening to them talk to make wild assumptions on what is wrong with machines. Most often I jump directly to worst case scenario. I get the feeling that is not particularly endearing to some, ahem, my husband. Like the time we returned to our assignment in Asia after a 6 month absence. Our cute orange car waited 6 months for us parked outside. Friends cleaned it a time or two and started it a time or two, but it was lonely. Our first morning back I headed to the car to go and stock our bare fridge and cupboards. The engine turned over, and over, and over, and over…and didn’t start. I gassed it and tried again and again. Our car was dead, I knew it. Stone cold dead. I also knew just enough to know that maybe stepping on the gas repeatedly could flood the engine and undermine my efforts to bring Orangey back to life. I laid off, took a breath, and eventually got to the grocery store. So, here I am years later trying to write again after months of upheaval and absence from my blog and not writing. 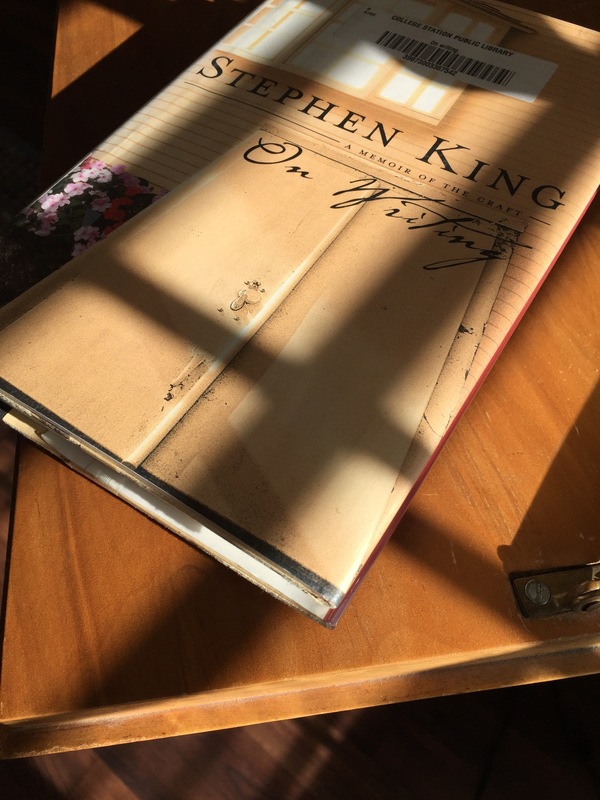 I primed the pump last week at the library by checking out books on writing like Stephen King’s book On Writing which I stumbled across in the stacks. I took it as a sign that it was time to try and begin again. Plus, I heard it was good. Stephen King’s writing is not my genre by a long stretch. But, his book On Writing is more my style and quite a fascinating and humorous read so far. I checked out another on the craft of memoir writing. I haven’t cracked it yet. It sounds too serious, a little more ambitious than I’m ready to read. My library trip and a couple short editing projects, and I felt a bit of the spark of desire to write again. It felt good. Like a visit with an old, familiar friend. Like unpacking a box and remembering a beloved object not seen for years. I started to feel ready to write again. Plus, an automated woman from wordpress called and warned me to pay up or I’d lose my domain. I didn’t pay up soon enough. I lost it and now must pay a fine for my procrastination. But, something about a call from wordpress made me think about writing again. Like a kick in the pants. I remember paying for my domain name last year. It was a huge step for me to put money towards writing. I was so serious about it. I realize I don’t want to pack up my love for writing. WELCOME BACK!!! So many have missed your thoughts and musings and insights–me especially. Glad you’ve decided to give it another go! I’m on Dayle’s page. Glad you’re writing again. I look forward to reading what you write.